Stuart Sloan was not born to a life a wine. It was a passion. Sloan, who previously owned QFC, a chain of supermarkets in the northwest, sold his company, moved from Seattle and started an entirely new life as a winery owner. 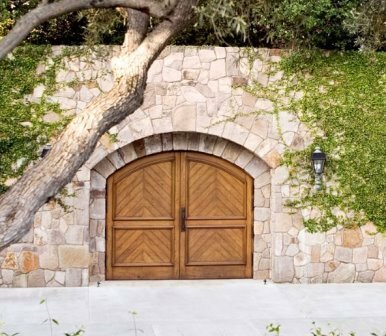 In 1997, Stuart Sloan purchased 40 acres of land in the eastern portion of the Rutherford appellation, which gave him a nice view of Auberge du Soleil, which was just a bit below his property. With that parcel of land, Sloan Estate Winery was founded in 1997 with the goal of making of the great Cabernet Sauvignon wines in all of Napa Valley. Stuart Sloan quickly put together an all-star team to help accomplish his goal. He hired David Abreu to plant 13 acres with vines. Mark Aubert was the first winemaker to work with Sloan. He was replaced in 2004 by Martha McClellan. Brad Grimes, who is the winemaker for Abreu was hired to assist as well. Michel Rolland, the globe trotting consultant joined the team soon after that. Sloan Estate Winery released its first vintage in 2000. Things changed in 2011, when the wealthy financier, Sutong Pan and Jenny Pan, Purchased Sloan Estate Winery for a record setting, $40 Million dollars from Stuart Sloan! Sutong also owns Chateau Bon Pasteur in Pomerol. The vineyards of Sloan Estate Winery are on great terroir within site of Auberge du Soleil on the hillsides of Rutherford. The vineyard has good elevations that range from 875 feet to almost 1,000 feet above the Rutherford Bench. The terroir is mostly, rocks, stone, volcanic material, clay and white tufa soils on a cool, hillside parcel. Sloan Winery makes 2 wines. Sloan Estate Wine, their flagship wine is made from mostly Cabernet Sauvignon, with varying amounts of Merlot, Cabernet Franc and Petit Verdot are blended in. The wine was first produced in 2000. They have a second wine, Asterisk which is made from a blend of Cabernet Sauvignon and Merlot, made its debut in 2004. Asterisk is usually made from just Cabernet Sauvignon and Merlot grapes. Sloan Estate is best served at 15.5 degrees Celsius, 60 degrees Fahrenheit. The cool, almost cellar temperature gives the wine more freshness and lift. Young vintages can be decanted for 2-4 hours, depending on the character of the vintage. This allows the wine to soften and open its perfume. Older vintages might need very little decanting, just enough to remove the sediment. Sloan Estate is best served with all types of classic meat dishes, veal, pork, beef, lamb, duck, game, roast chicken, ribs, hamburgers, barbecue, roasted, braised, grilled dishes and stews. Sloan Estate is also good with Asian dishes, hearty fish courses like tuna, salmon, mushrooms and pasta. Inky in color, powerful, intense, massive and concentrated, this clearly knocks on the door of over the top. Frankly, many tasters will find this to be too much. Packed and stacked, this tastes and feels like Anna Nicole Smith squeezing herself into a bottle. But this is Anna at her prime and she does manage to fit, albeit snugly. There is length and persistence, as well as a teeth and gum staining palate presence. It is possible this will be easier to enjoy as the wine calms down. Big, powerful, full bodied and intense, the wine offers an intense character, replete with blackberry chocolate, licorice, smoke and fresh, espresso beans. The long, fruit filled finish keeps on going. Thick, rich, intense, powerful and filled with lush, ripe, berries, oak, licorice and jam, there is a softness to the texture that makes this perfect for drinking today. Amazing layers of concentration, but it was too hot and sported a spirity, raisined quality. This wine reminded me of Integrity. Lovers of that style of wine will adore Sloan. Maybe it will improve with age, but I think, last night we all agreed it was produced in a rocket fuel style. The wine remains powerful, dense, concentrated and youthful. Layers of intensely ripe, dark, black and blue fruits, jam, licorice and chocolate are all over the place. This remains a massive wall of wine, but one that is in balance and harmony. I do not know what has changed more over the years, my taste preferences, or this wine? Perhaps, it's a bit of both. 7 years ago when this first came my way, it was too ripe, powerful and over the top. But today, at 16 years of age, the wine is elegant, balanced, pure and precise. There is length and complexity and it's a lot of fun to drink. Showing a supple, rich, voluptuous, velvet drenched character. Fat, ripe, sweet and powerful, the fruit was as intense as it was pure. This is a palate staining, smile killing wine that is remarkably in balance. When last tasted, this wine was over the top. A decade later, this has developed into a stunning example of California Cabernet Sauvignon. This kicked off with spice, oak, coffee, blackberry, jam and tobacco notes. This full bodied wine was concentrated and had some tannins remaining. The wine concludes with blackberry and dark cherry along with oak.